Prostate cancer is the most commonly diagnosed cancer in men and causes thousands of deaths annually. Many prostate tumors are slow growing and localized to the prostate, whereas others are more aggressive and spread to other areas of the body (e.g., bones). Work to better understand prostate cancer will lead to improved treatment options and more precise care for patients with this disease. 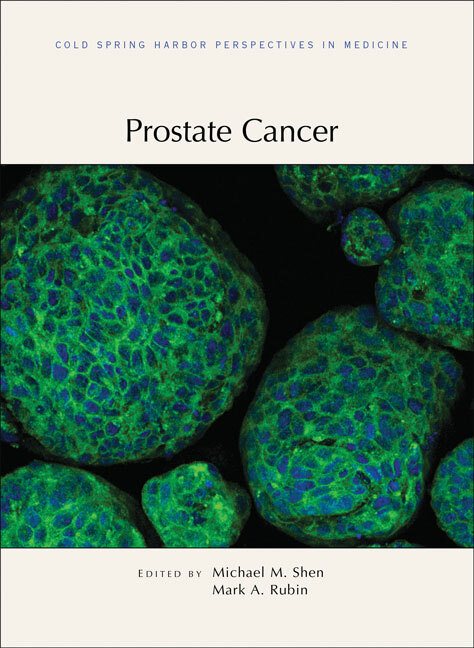 Written and edited by experts in the field, this collection from Cold Spring Harbor Perspectives in Medicine covers the recent progress that has been made in understanding the pathogenesis and treatment of prostate cancer. The contributors review the normal development, anatomy, and histology of the prostate; the genetic, lifestyle, and dietary factors associated with prostate cancer risk; and the alterations in the genome, epigenetic landscape, transcriptional networks, and metabolic and signaling pathways that drive oncogenesis. The role of the tumor microenvironment in prostate cancer pathogenesis is covered, as are the molecular mechanisms of metastasis. The authors also discuss how mouse models and patient-derived tissues can be used to study aspects of the disease and accelerate the development of appropriate therapies. Other topics include methods for diagnosing and monitoring prostate cancer, such as biomarker (e.g., serum PSA) testing, histopathological grading, and anatomical and molecular imaging techniques, as well as treatment options that are currently available and under development. Strategies that may prevent prostate cancer altogether (e.g., chemoprevention) are also described. This volume is therefore a vital reference for all cancer biologists and clinicianâ€“scientists concerned with defeating this disease.